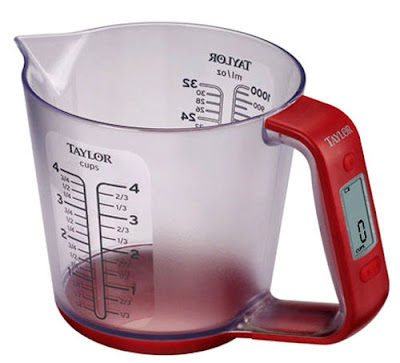 Weighty Matters: World's Greatest Measuring Cup? I can't imagine any other contenders. Pour stuff in - digital measurement on handle. Not sure about you folks but all my cheapy plastic cups end up having their side printed gradations erase over time. It can even do imperial to metric conversions!